Have you met the awesome Bugatti Veyron Super Sport? This super car is known for reaching 268 miles per hour and for being the world’s fastest production car, according to the Guinness Book of Records. 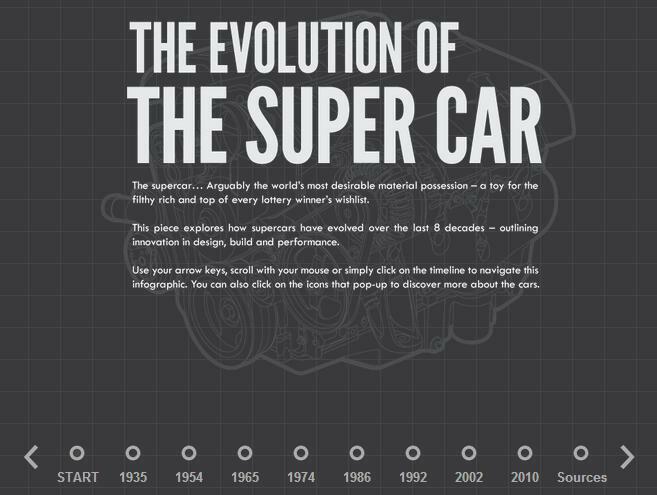 However, the Veyron is just the latest wonder in a long list of super cars that started in 1935, when the Duesenberg SSJ Speedster was created. It’s safe to say that we travelled a long road since those times. Today, the true super car is the Veyron, with only 30 units produced since 2010. Its origins go back to 2000, when Bugatti presented several new models, including this super vehicle. Initially, the car was supposed to have a complex 18-cylinder system, but in 2001 the model was presented with only 16 cylinders to simplify the production process. That decision clearly didn’t harm Veyron’s efficiency, despite the fact that the model doesn’t have a perfect aerodynamic design. The current engine of the Super Sport can reach amazing top speeds. However, the driver needs a special key to “unlock” the car’s top speed. The key activates a system that lowers the vehicle to 3.5 inches from the ground. The design of the Super Sport is also a bit different from the standard Veyron, with LED headlights and an orange bottom with other similar details. Nevertheless, there are other choices: the model can also come with slight changes according to the buyer’s taste, as long as he has a lot of money to pay for them.